Plan your trip the right way with this Mexico Destination Guide. 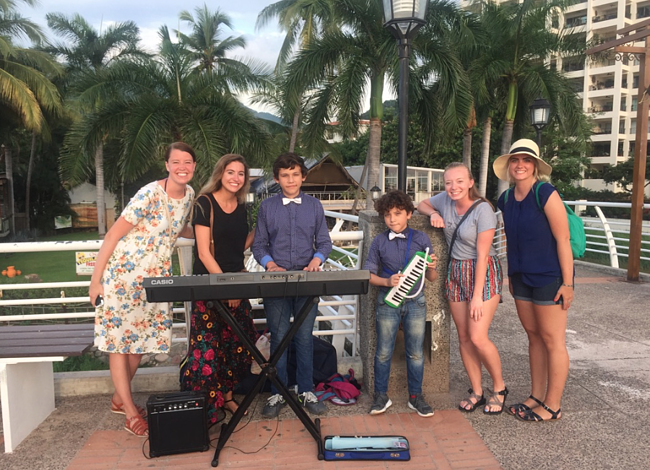 We're big fans of spending a full semester in Mexico, teaching English to cute kids, being able to learn basic Spanish by practicing every day at the local taco stand and crossing off your Mexico bucket list. One of the things we think you should fit into your semester in Mexico? 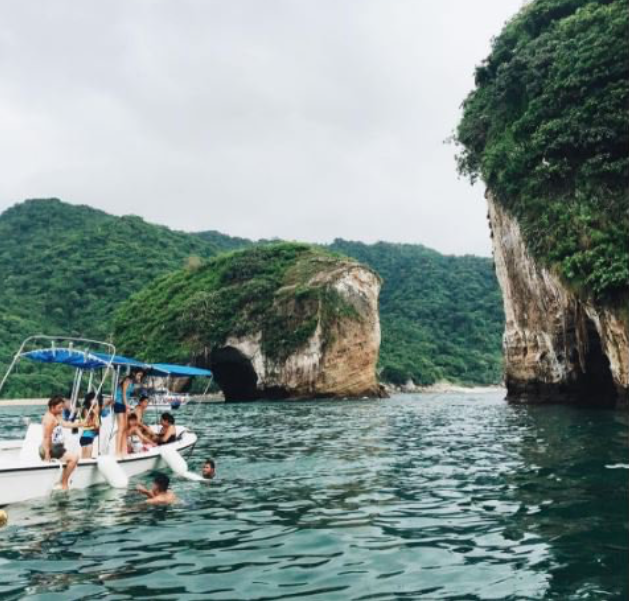 A vacation to Puerto Vallarta made way easier, thanks to these insider tips. You’ll find little snorkel shops and stands around this fishing-village-esque beach. A gorgeous and small stretch of pretty water and sand, this beach has calm waves that are perfect for swimming rather than surfing. There are also several restaurants and massage places if you’d like to grab lunch or do a bit more relaxing. Situated between a string of resorts that lie in front of the towering green mountains, you’ll get quite a view on this beach. The name of the beach refers to the wavy conch shells that wash up on the shore, so keep an eye out for that. There are some rocky outcrops that jut out from the ocean into the sand where you can spot little crabs, sea anemones and starfish hiding in the tide pools. So fun. One of the most popular beaches if you ask any ILP volunteer who vacationed in Puerto Vallarta. You’ll find a lot to keep you busy on this beach. Along the sandy shores, you’ll see vendors offering to take you out parasailing, out on a banana boat, paddle boarding, and other activities. If you look hard enough, you might spot a bit of sea glass amount the shells on this beach. There are also food vendors and restaurants nearby which makes it easy to spend an entire day here. Our suggestion? Get the mangoes that you'll see sold on the beach! Into crazy blue water? This fabulous beach has a bit of a rocky shoreline, but the views really can't be beat. It can get a bit crowded so arrive early if you want a good spot (before 1:00 PM, one ILP volunteer suggests). It's a fan favorite! As a head's up, volunteers say that the free beaches that you'll find close to some hostels typically aren't very nice at all. It's worth it to hunt around and pay to get into the nicer beaches in front of resort where the sand is cleaned and is nicer. Also, it gets extremely hot in this part of Mexico, and volunteers said they were so glad they split the price of an umbrella for the day so you can get a break from the sun when you're at the beach all day. If you're wanting a taste of Thailand in Mexico, take this boat tour. You'll typically find half day snorkeling tours that will take you out into the ocean to glimpse the jungle-topped arches and pinnacle mountains emerging from the sea. Underneath, you'll find schools of colorful fish. The area is actually a Marine Park, so you might even run into a few protected sea animals, like the sea turtle. Keep an eye out for schools of splashing dolphins on your way there and back! They love to swim alongside the boats. This is one of the most highly recommended tour options our ILP volunteers just can't get enough of. You can do a quick online search for a tour company, or you can charter a captain and boat in Puerto Vallarta or off of Mismaloya beach. It'll take you about an hour to reach the arch from Mismaloya beach. Most tours (or hired boats) include your snorkel gear, and most tours also include lunch. Be sure to pack up plenty of water and sunscreen and some extra pesos for a tip. Prices should be around $55-$75 for a half day adventure. A popular tourist attraction is swimming with dolphins, and you'll find a handful of places to make that happen in Puerto Vallarta. 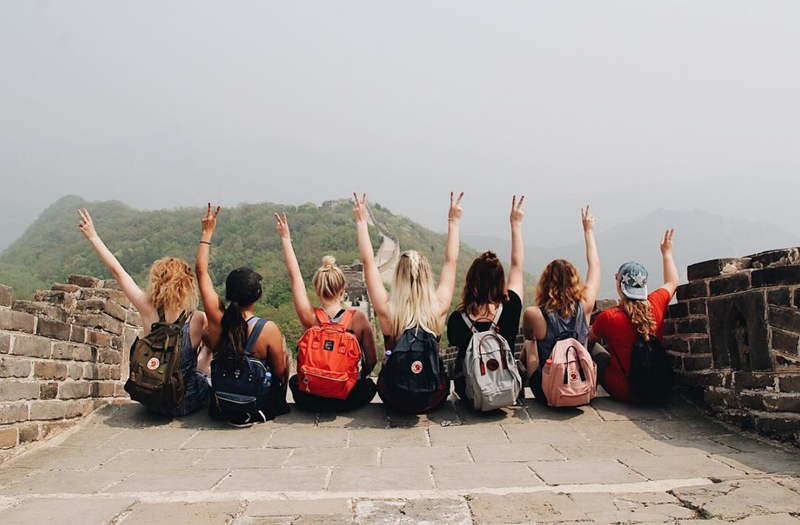 We suggest doing your research to find an ethical organization with a tour package that includes what you're looking for. There are some suggestions recommended by our ILP volunteers below. Get more information about swimming with dolphins in Puerto Vallarta. Called the malecon, it's a 12 block (1 mile) promenade that might be the best place to see the sunset. You'll find ocean views, sculptures, art galleries, restaurants situated right in the sand, musicians and street performers, and other highlights along the boardwalk. Our suggestion? Find a place to grab dinner then walk the boardwalk to find the best place to watch the pink and orange sky fade into the ocean. Puerto Vallarta's Banderas Bay is the perfect location to go whale watching. Whale watching season is December - March, so this is perfect for ILP volunteers in both Fall and Spring Semesters in Mexico. 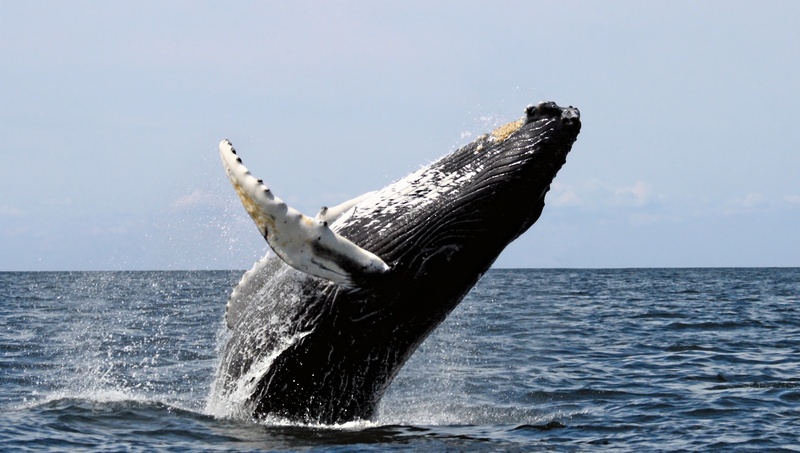 Typically in December, you'll be able to see adult Humpback whales. By January, you'll typically be able to see new born baby Humpback whales and by February and March you'll be able to see happy and active baby Humpback whales in Puerto Vallarta. Even if you can't make it during prime whale watching season, there are plenty of other fun activities in Puerto Vallarta. You'll be able to find plenty of whale-watching tours to take you out for the afternoon along the main street. Did you know that you can sail with pirates in this coastal vacation spot? Well at least you can pretend you are. 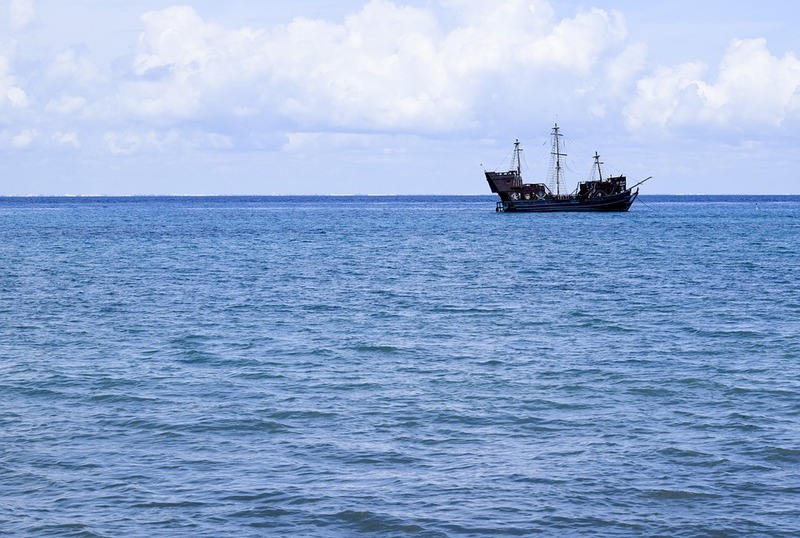 These pirate ship cruises are full of fun pirate shows as the ship takes to a secluded island where you snorkel and kayak to your hearts content, plus most of these cruises include a meal (or two) and unlimited soda all day long. We have more more information here. Here's an example of what a tourism booth might look like: you'll also likely find that your hostel or hotel has excursions you can book. Tucked on the eastern coast of Mexico, most tourists arrive via plane, or you can take a bus. 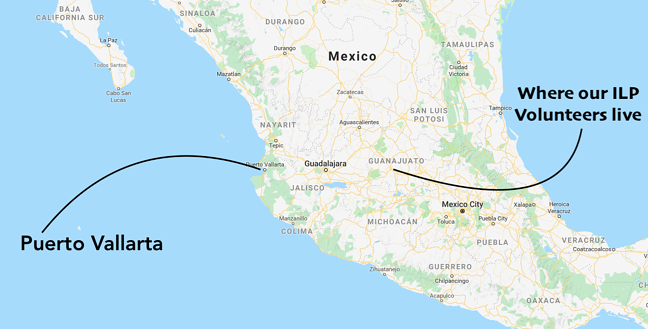 You’ll fly into Gustavo Diaz Ordaz International Airport (PVR) and we love booking flights on these cheap airlines in Mexico to help you get a good fair from Mexico City or another hub. Once you land, it’s easy to get into the main city which is about a 20-30 minute bus ride. You’ll find taxis lined up, waiting to take you, but you’ll often run into the most expensive kind of taxi right outside of the terminals (the white, federal taxis). For a better fare, cross the pedestrian bridge and hail a less expensive, yellow cab. If you’d like to take the bus into the city , look for the bus stop under the pedestrian bridge. Look for a bus marked “#11-D Centro” or “Zona Romantica”, then pay the driver the 8 peso ride. Don’t get on the bus marked “Pitillal!” Best to have exact change and pay in cash for your ticket, though sometimes you will get change back. Also, you’l want to pack light if you’re taking the bus. There is no room for luggage, so you’ll need to fit your bag on your seat, or pay for another seat for your luggage. Here’s the bus route. It's about an 8 hour drive from where you are living as an ILP volunteer, so a perfect overnight trip that will be a lot less than taking a flight! Tickets are about 950 pesos — you can find a kiosk in the Irapuato mall, or you can book online for the Premira Plus bus ... it's a bit cheaper if you go that route. You can easily grab a taxi to your AirBnB or hostel from the bus station. The city is walkable, though you can always call a cab if you’d rather not walk. Here’s a handy guide for avoiding taxi scams; since Puerto Vallarta is popular with tourists, it’s a common occurrence to be overcharged in any popular tourist city. It's just nice to know little things like keeping the meter on to help you avoid a taxi scam or two. 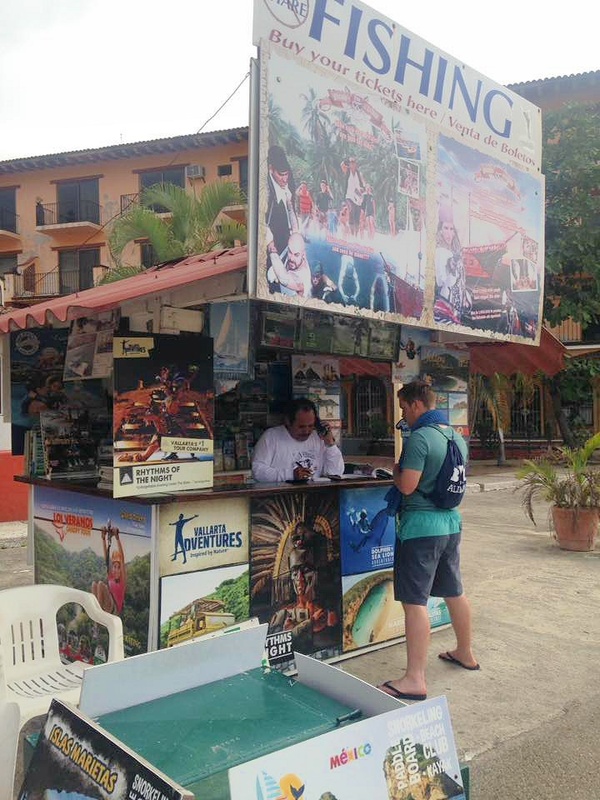 Expect a huge range of prices around Puerto Vallarta. If you can afford to splurge, you’ll find fancy, all-inclusive resorts all along the coast line which can be a fun break from staying in hostels — everyone loves smoothies and dinner catered right by the pool! 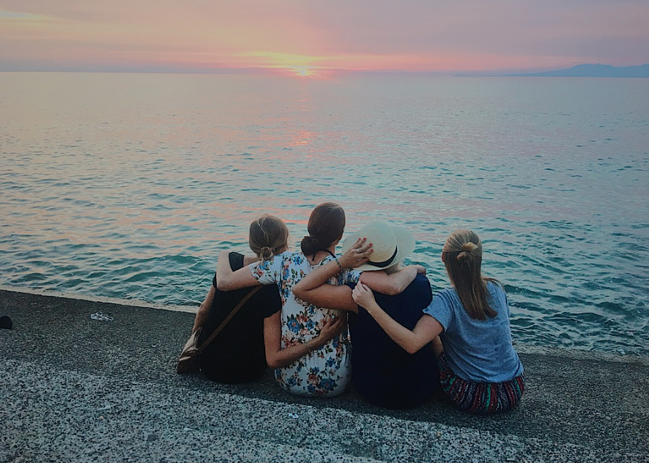 Other groups in the past have split an AirBnB, or found a couple of hostels worth recommended. Overall, we seem to prefer AirBnbs over hostels. 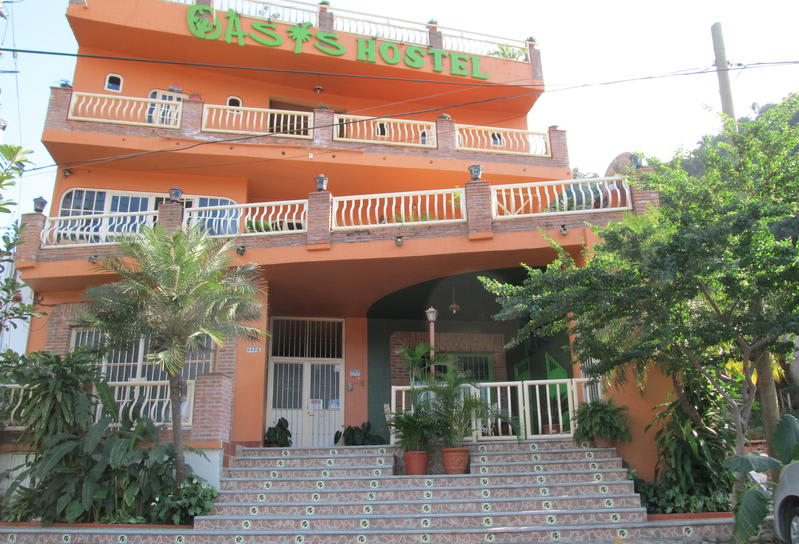 With a fabulous staff (and rocking breakfast), The Oasis Hostel has a whole host of people waiting to help you plan out your time in Puerto Vallarta. There isn't AC which is rather common in Mexico, but if you're prepared for that, this is a good pick. "This was our favorite AirBnB out of all the places we stayed in Mexico" says one ILP Mexico volunteer. It was relatively close to a good beach, there was a 7-11 right across the street (which was handy for beach snacks) and it had air conditioning, plus good beds, and a full kitchen. Sounds like a winner to me. Here's the link. It's $75 per night, but can sleep up to 8. Volunteers said that El Sunset is not the nicest hostel they have ever stayed in (but not the worst either), but they booked it for the AC. It's outside of the big high-rise resorts, but still close enough to everything you want to do in Puerto Vallarta. Apart from some delicious (and large!) fajitas, the chicken tortilla soup is a total favorite ... as are the fish tacos. You'll find generous portions which makes for a good dinner if you're hungry. A total "food from home place" catered to tourists, you can order up milkshakes, onion rings, burgers, fries, chicken wings, and other classics off of this menu. Found at the top of the Botanical Gardens (which is something you should check out if you have the time! ), this restaurant is a volunteer favorite. Get a look at the menu here, but you can find anything from Ceasar salads to shrimp tacos. So yummy. Get to gardens and get information about hours, tickets, and other info here. That links has details on which bus to take so you can avoid a pricier taxi. Um, the food here is bomb. "The limeade was honestly the best thing" according to one ILP volunteer — it's served up in a huge glass, and it just isn't the same as the stuff you get at home. As far as food goes, the classics just can't be beat. Burritos, tacos, and lots of rice and beans. 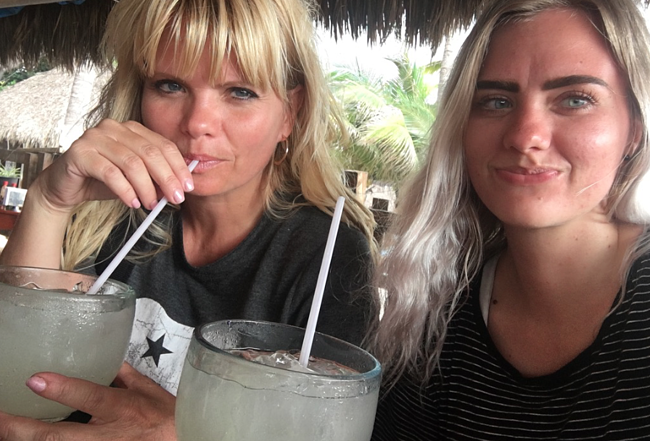 This volunteer had her mom come visit for this vacation - so fun! Interested in vacationing in Mexico? How about living there and making a difference in the lives of children? Each ILP volunteer is teaching English part time, which leaves plenty of free time to explore during the week. Plus, you'll have weekends off to visit nearby cities and vacation days to see places like Puerto Vallarta. Oh and did we mention how good the food is in Mexico? We're big fans.